Bauhaus Font (printing style) was originally created by Herbert Bayer of the Dessau Bauhaus in 1925. Each letter has a simple geometrical form, producing clean lines and clear individual letters. 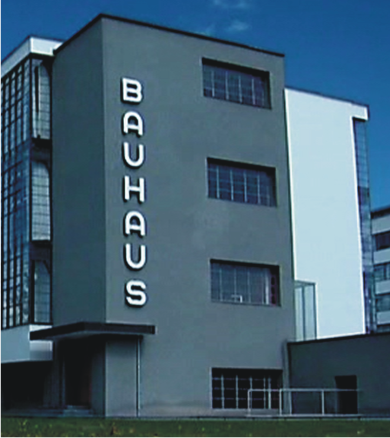 The Font was used to display the name BAUHAUS on the front of the famous design school. More recently since the introduction of computers, the font has grown in popularity. The font symbolises the nature of the design carried out in the Bauhaus Design School. It is uncomplicated, clear and easy to use, yet it has a classic designer form, distinctive of Bauhaus designers and architects. A photograph of the famous Bauhaus Design School is seen below. 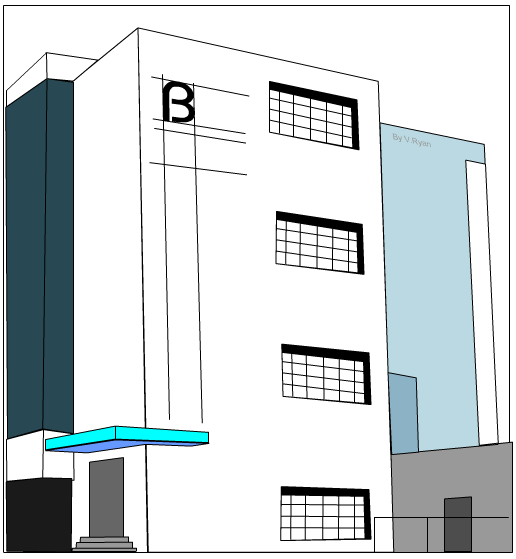 The name ‘BAUHAUS’ is clearly displayed down the front of the building. 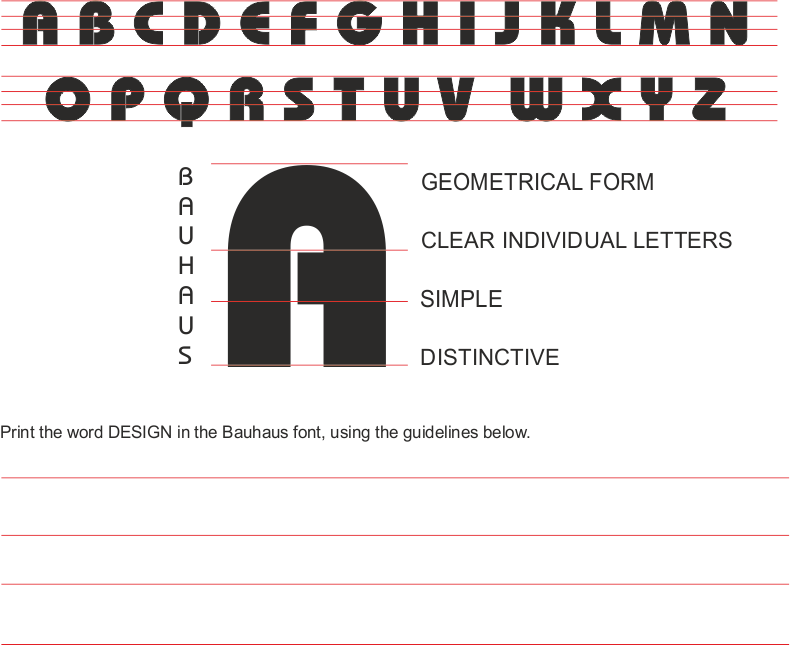 On the simplified drawing of the Bauhaus, accurate write the name, using the Bauhaus font. The design of the individual letters are seen at the bottom of the page.